Like just about everyone else, I’m attempting to make healthier choices in the New Year. No crazy diets, just eating more vegetables, salads and healthy grains. So of course quinoa (pronounced keen-wah) is on the list. 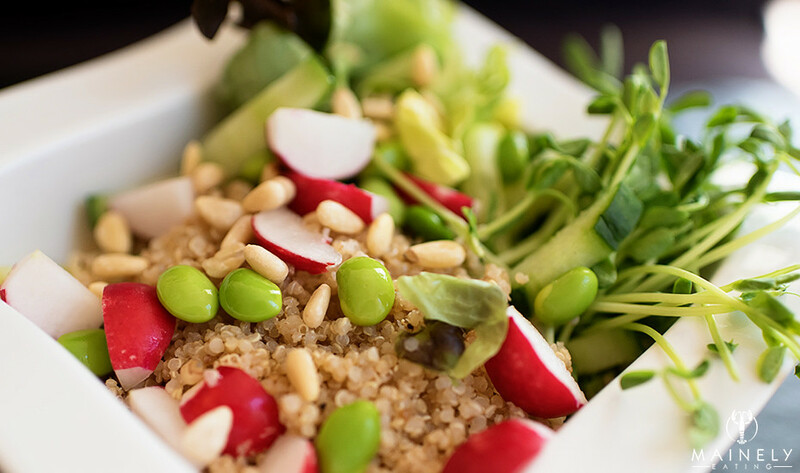 Quinoa is a great source of protein, iron, fibre and it’s gluten-free (if that’s important to you). It’s quick and easy to prepare and a tasty way to eat a serving of whole grains. Most recipes tell you to dump the quinoa and water in a pot (2 cups of water for each 1 cup of quinoa), cover and simmer for 20 minutes and then fluff with a fork. I’ve found this to result in fairly tasteless and slightly soggy grains. 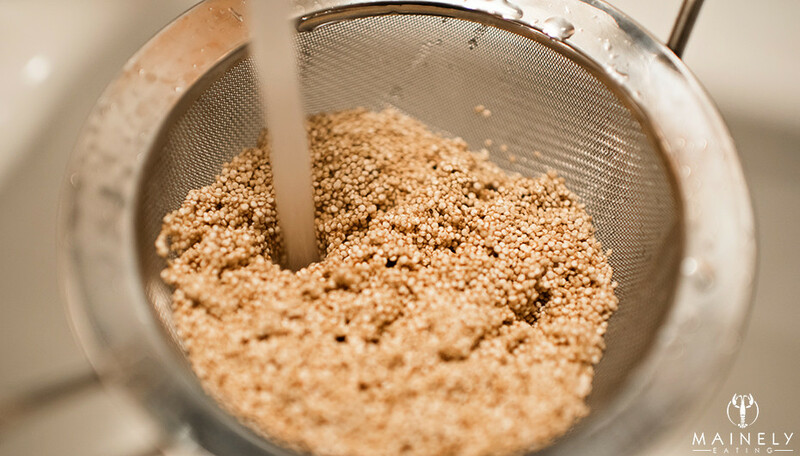 Quinoa cooking tip #1 Thoroughly wash and rinse the quinoa before using. You might see a “pre-washed” note on the label but I’d still wash it. Run it under cold water in a sieve and rub the grains together with your hands. This removes the bitter saporins. Quinoa cooking tip #2 Get your quinoa a little toasty. Similar to cooking risotto, I’ll add a small piece of butter to a wide saute pan (more surface area) and then add the grains. Toss over a medium heat until any rinsing water has cooked off and the quinoa is starting to smell slightly toasty (~3 minutes). 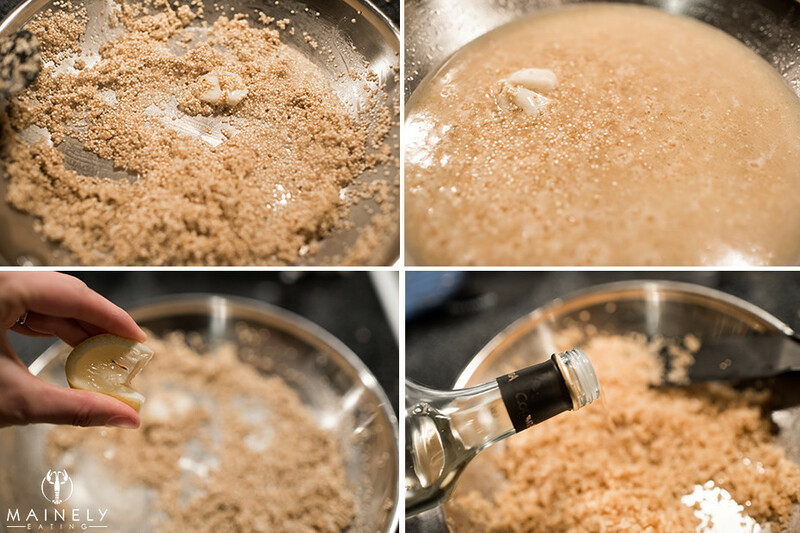 Add a lightly-smashed garlic clove. Season with salt and pepper. Quinoa cooking tip #3 Water is good for you but it’s pretty tasteless. Why not cook quinoa in unsalted chicken broth (bonus points for using homemade stock)? I also like to add the juice of half a lemon and a splash of olive oil. 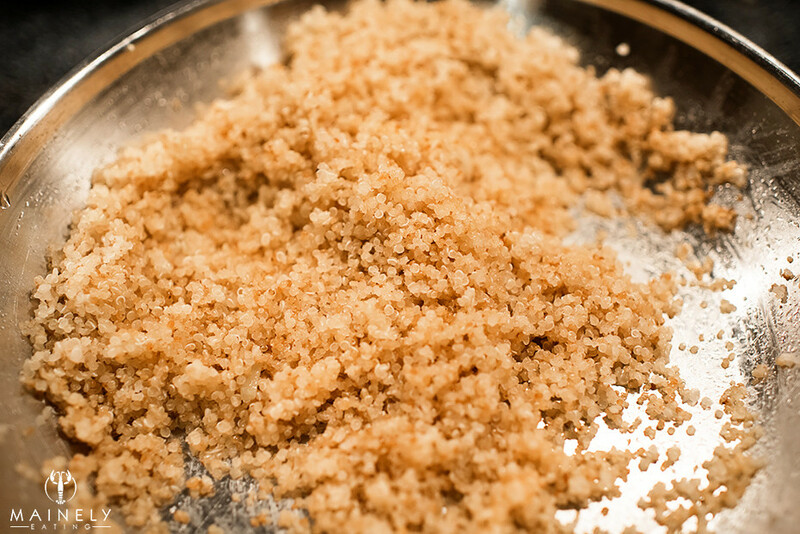 Quinoa cooking tip #4 Use just under 2 cups of liquid for each cup of quinoa (so a scant 4 cups of broth for 2 cups of quinoa). You can always add a little more at the end of cooking. Cover the pan and cook over a low heat for ~20 minutes and then fluff up at the end. 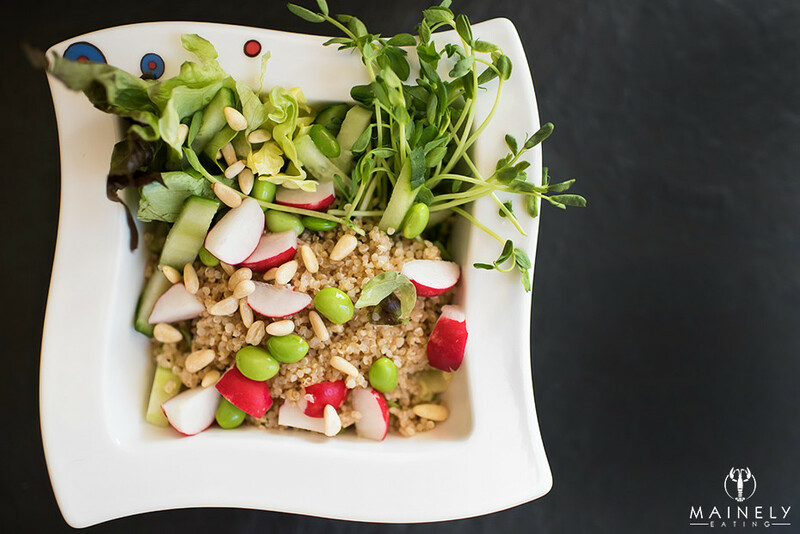 Quinoa cooking tip #5 Taste the cooked quinoa and season lightly with a splash of white wine vinegar, olive oil, lemon juice, salt and pepper. You can then store the cooked quinoa in a baggie in the fridge and add it to salads throughout the week. Today’s lunch is a bowl of butter lettuce leaves with pea shoots, cucumber slices, perfectly fluffy quinoa flavored with chicken stock and lemon, topped with crunchy radish, edamame and pine nuts. What’s your go-to healthy lunch? This entry was posted in Home cooking, Lunch and tagged Fluffy quinoa recipe, Quinoa cooking tips, Quinoa saponins by Mainely Eating. Bookmark the permalink.